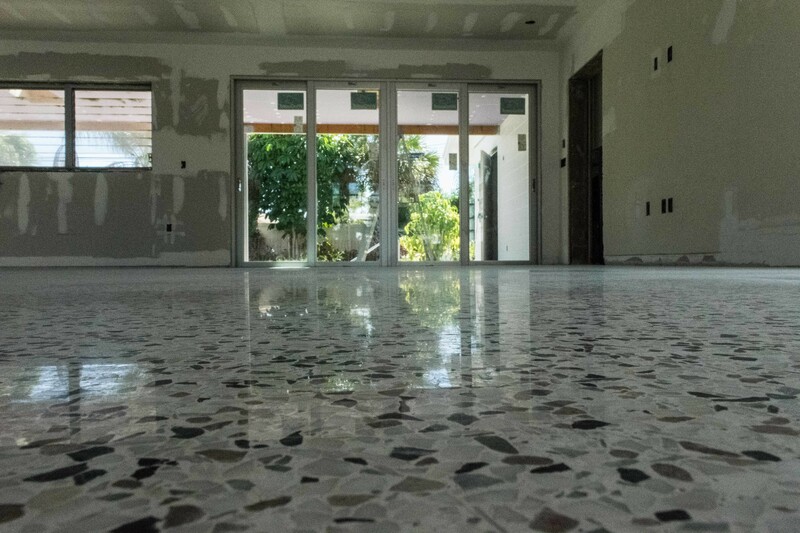 We seal with impregnating protectants for terrazzo floors that lasts around five years before another application is needed. 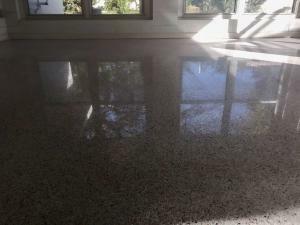 Fluoropolymer impregnating protectants use advanced technologies to protect your floors from oil and water based stains. 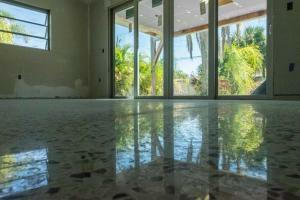 To prolong the life of these products clean your terrazzo floors often. Lowe’s sells a premium penetrating protectant from DuPont that can last for five years. This premium fluoropolymer impregnating protectant is applied with a pump up sprayer and a finish mop. 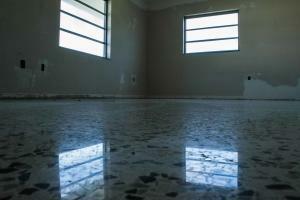 Apply it then let it dry completely and remove the excess with a mop and water. These penetrating protectant need to cure for several hours after being installed. 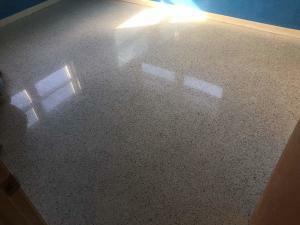 These penetrating protectants go into the floor, but not on top the floor. 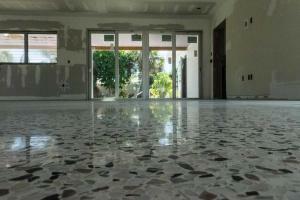 They fill in the pores in the floor to keep dirt, oil based and water based stains out. These water-based impregnating protectants are great and safe, but remember terrazzo consists of mostly marble and, in the case of old terrazzo, Portland cement. Both of these are acid sensitive. If you spill wine on your terrazzo floor the penetrating protectant will protect your terrazzo and give you time to clean it up, but the floor may be etched on contact. 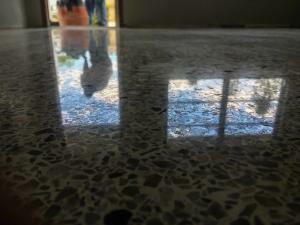 IE, the floor might lose the shine in the spill area. This problem is easily remedied with a hand tool and a couple diamond impregnated pads, as the etching rarely goes very deep. It usually only takes a few minutes to fix.